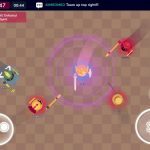 Casual gaming leader Noodlecake Studios is back with the sequel to Flappy Golf, and it’s simply called Flappy Golf 2. 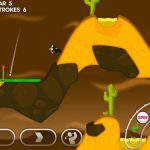 The game, which is now available for Android and iOS devices, comes with the golf courses of Super Stickman Golf 3, and you can take part in multiple modes, including Race Mode, where you can compete online against friends or players from all over the world. You can also unlock Super Star Mode if you earn all the Gold Stars needed, and this is done by getting the ball in the hole with as few flaps as possible. Currently, there are 29 courses, and according to Noodlecake, there should be more to come in subsequent updates. Once again, it’s all about getting the Gold Stars in the game, though as you’ll find out, this could be easier said than done. This is one of those games that can be considered easy to play and hard to master. 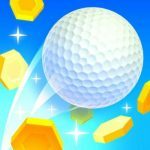 But look no further for help, as we have some Flappy Golf 2 tips and hints that are designed to aid you in getting more Gold Stars in this casual, yet addictive game. This may take a good deal of practice, but you’ll need to get the hang of your golf ball’s physics. It’s advisable to make light and subtle taps and space them out a bit, rather than making quick and aggressive taps. After tapping, allow the ball to gather up some momentum by itself, then tap once again. Flapping with momentum allows for better jumps, and a greater distance covered horizontally. The only time you should go with quick taps, however, is if you’re required to go up quickly. 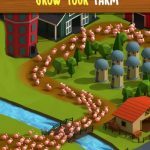 Daily races, of course, are refreshed once per day, and if you win these races, you can get a decent amount of eggs, which are the game’s premium currency. You’ll get better egg rewards by winning longer races, though you won’t have any control over the type of race you’ll take part in during these dailies. These are random single-player levels, so if you want to make sure you perform as well as possible in those races, try practicing in single-player mode before anything else. As we said in the overview, Flappy Golf 2 is a casual game, and it is so in the truest sense. That means it’s a game where your success is solely determined by how well you play it, with nothing to do with the type of characters you use. Having said that, the eggs you use to buy additional stuff won’t change gameplay at all, so we wouldn’t worry too much about them if we were you. If you try to chase after the eggs, you will often find yourself using too many moves, which would then eliminate you for gold star contention. 4. What Can You Buy With The Eggs? Your eggs can be used to buy new designs for your golf ball, and as we said in the tip above, those new designs won’t do anything to make the ball move faster, make it more accurate, etc. Your success in the game is all on you and not on the character/golf ball you choose, so keep that in mind before starting your golf ball collection. But since different designs can change things up a bit if the stock design gets too monotonous, you can always replay a course once you’ve already gotten the gold star, in order to get the eggs. The “Shadow Flag” is a darker flag that can be found in different parts of the levels. They won’t normally be found through conventional means, and you will often need to find secret pathways leading to this flag. Ending a level through the Shadow Flag will give you ten bonus eggs as a reward, so if you want to add more golf ball designs to your collection and get more eggs to buy them, you’ll want to make hitting the Shadow Flag a priority at times. One common trend in the game is that a lot of the holes are surrounded by sloped walls. If you’re running out of moves, you can try aiming your ball toward them and letting the ball slide off. If you’re able to take good advantage of the physics and use the right angle and speed when hitting the slope, that could allow the ball to roll into the hole. This is also a great way to double down on the gold stars, so master this trick so you can improve your chances of getting them in the game. All of the 29 available levels in the game (and there will be more to follow) have specific themes. For example, the Snow Field has slippery, icy slopes, while Sticky Zone is suitably sticky with those gummy walls. The Gravity Lab, on the other hand, allows your ball to fly around when it’s been hit. Given those themes in mind, you’ll have to separately master how the physics work so that you can have a better chance of putting the ball in the hole. To expound on the above examples, the gum walls on the Sticky Zone could stop your ball from moving if it crashes into them, so you should watch out for that possibility. And things can get really unpredictable in the Gravity Lab, due to your ball getting propelled in the air.